Christmas is on it’s way! The shoppers are shopping, the halls are being decked and Santa is checking that naughty and nice list again. 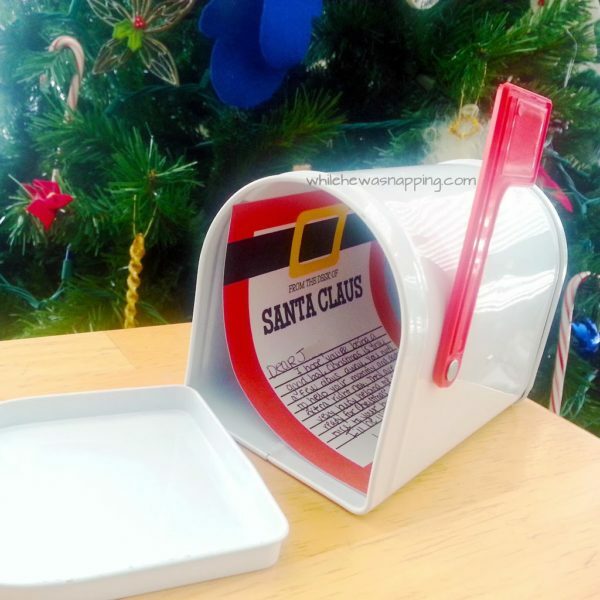 You might think Santa doesn’t have time to keep up with his correspondence, but a letter on Santa’s Stationary is one of those little things that makes Christmas magic. Every year, Santa would leave my siblings and I a letter after he’d stopped at our house, dropped off our presents, eaten our cookies and fed his reindeer the carrots we’d left out. I don’t remember exactly what any of those letters said, but I sure do remember getting them! It’s a tradition we have in our home with our boys now too. It’s a tradition I love! Uhm, say what, little 4-year-old? and my Mommy Brain started trying to formulate lies excuses ways to explain the deep, dark questions a 4-year-old has about Santa Claus. The ultimate mommy moment. Where was this coming from? Finally, he asked, “How come Santa doesn’t send an elf to watch us?” Ah ha! Finally, we were getting somewhere. Turns out, somebody at school had been telling him about their Elf on the Shelf and he wondered why we don’t have one too. I am NOT a fan of Elf on the Shelf, but I’ll save you my ranting on the subject. Explanations bounced around in my head of ways to answer my 4-year-old and I settled on telling him that Santa didn’t have enough elves to send one to our house. He needed all the elves he could get to help keep the workshop running so there weren’t extras. I added in, “Santa must know you can be good all by yourself and you don’t need an elf to watch you.” Famous last words there, Momma! Big J seemed to accept that a little halfheartedly and ran off to play. The end. Or was it? Mommy guilt ate away at me. I thought for about .00000001 nanoseconds about caving into Elf on the Shelf. But there had to be a better alternative that didn’t involve a creepy doll and more work for me. This idea hit as I was cleaning up in Big J’s room and found a little note I’d written him. A note from Santa himself would be way better than a bug-eyed elf doll, right? 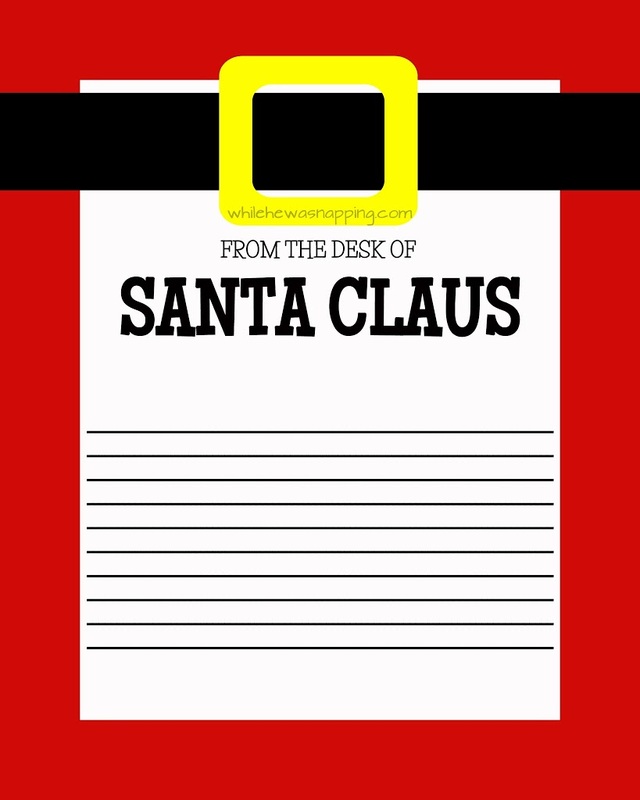 But, it had to be official, so I designed up so North Pole Note Cards straight from the Big Man’s desk. He has loved getting his little notes. And, the best part is that I explained up front that Santa only leaves notes when he gets the time. So, if I’m too busy or forget to leave a note one morning? Guess Santa had a lot of work to do getting ready for Christmas. And, if Big J has had a rough day, he might get a little reminder that the nice list isn’t set in stone (like the note in the mailbox in the photo…) and he better shape up soon. No stress and it’s fun for my kiddo. I takes a couple of minutes to write the note and that’s it… My kind of tradition. 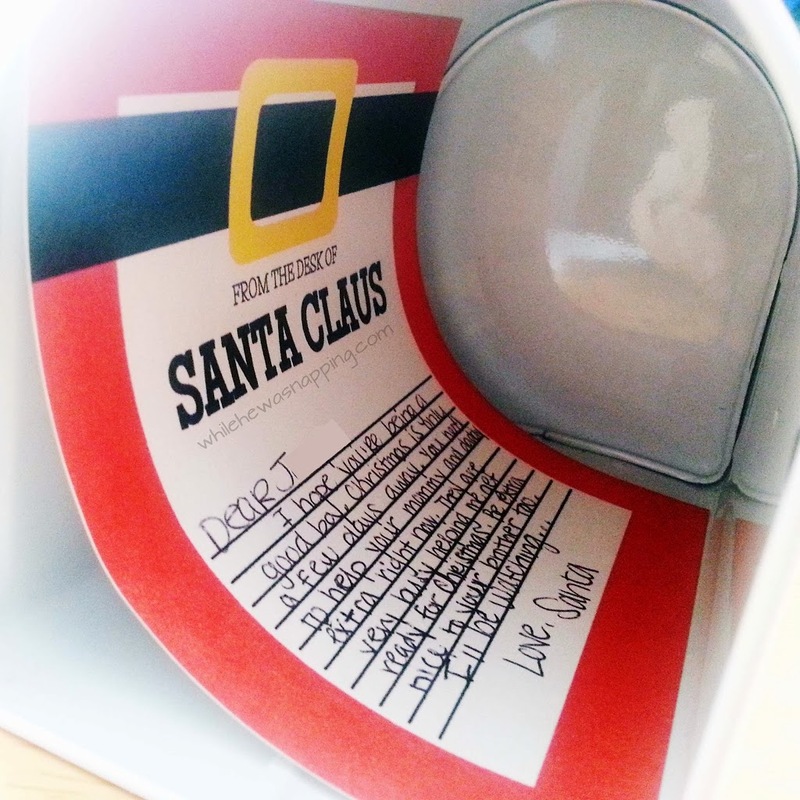 Want to start your own Notes From Santa tradition? 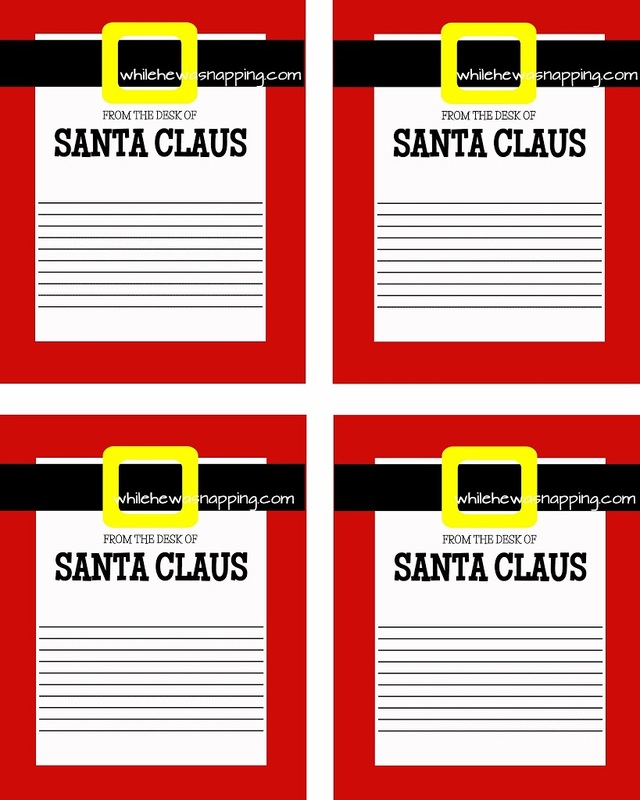 Get your own copies of Santa’s Stationary with the downloads below. They are high resolution and available as full-size sheets or note cards. If you share this printable, please link back to this blog post and not the download page. Kay? Thanks. Download the full sheet HERE. Download the note cards HERE.